YES YOU CAN still achieve your dreams of earning a dignified living and becoming financially independent! Last week, the Department of Education released the national matric results for the class of 2018. 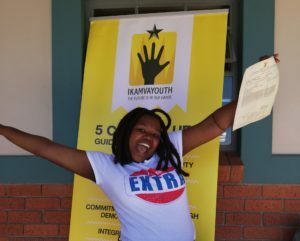 IkamvaYouth announced a provisional matric pass rate of 81% and celebrations have been taking place at branches across the country. Chances are, you may be pleased with your results, and may even have received your final confirmation of acceptance at your chosen tertiary institution. If this is you, CONGRATS! Firstly, perhaps you were quite surprised by the results you received, and feel the results are not a true reflection of your performance, it might be worth getting your paper/s re-checked or re-marked. You can request to have your scripts re-checked or re-marked at your school (see detailed instructions on the reverse side of your Statement of Results) or on the eGov portal, at www.eservices.gov.za. The deadline for manual requests for a re-check/re-mark is 18 January 2019, AND 20 January 2019 for online applications. Please be advised that the cost per subject, of a re-mark is R105.00 and R25.00 for a re-check. Another option available to you is to register to write the May/June NSC exams. These exams have replaced what was previously known as Supplementary Exams, which were written in February/March. This means that you have more time to prepare for the exams, so be sure to make use of this time! The June NSC exams allows candidates to re-write as many subjects as they need, including failed subjects or subjects they just wish to improve. The deadline for registration for the NSC June exams is 31 January 2019. Please CLICK HERE to access the Department of Education website for further details about the June NSC exams. Pursuing studies at a TVET college is a great option for students interested in vocational qualifications. Some TVET colleges don’t require a matric! For a list of all the Public TVET colleges in South Africa, CLICK HERE. Learnerships are a great way to gain a post-matric qualification, while gaining valuable on-the-job training. Requirements for learnerships vary, so it’s important to check if you qualify before applying. CLICK HERE for more information about learnerships, and browse available learnerships HERE. The task of searching for alternative opportunities in January can be quite daunting. Especially after not managing to get accepted at the institutions you may have applied to last year! Thankfully, the Department of Higher Education and Training has established a Central Application Service, which is aimed at making this process simpler. The service “aims to match applicants’ exam results and study preferences with places that need to be filled” at various institutions. To sign up for this service, CLICK HERE. 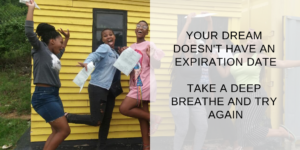 Even if your matric results weren’t as great as you’d hoped, there are many alternative routes to achieving your dreams. And remember, IkamvaYouth is here to help you every step of the way!